Firebrand Keep is a fort in northern Stormhaven. The fort is the main base of the Knights of the Flame, protectors of Alcaire. There is discourse among the knights regarding their most recent orders from their leader, Sir Hughes. 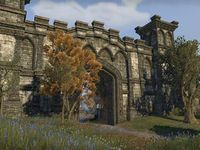 The keep also contains the Friendship Gate leading to Wrothgar. Prior to the release of Orsinium, the gate was unnamed and unusable. Firebrand Keep Objective: Reunify the Knights of the Flame. 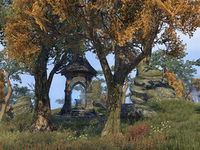 Firebrand Keep Wayshrine is located to the south of the keep, near the road leading into Menevia. 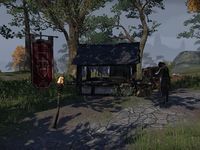 The Storm Route Stall, a Guild Kiosk run by Dromash, is on the side of the road.